A new program has started that helps growers know when when beehives are on or near their fields. Called “Bee Where,” the program creates an online database growers can check to track beehives in their area. This knowledge helps them plan their spraying for times that bees are either not active or have been moved away. 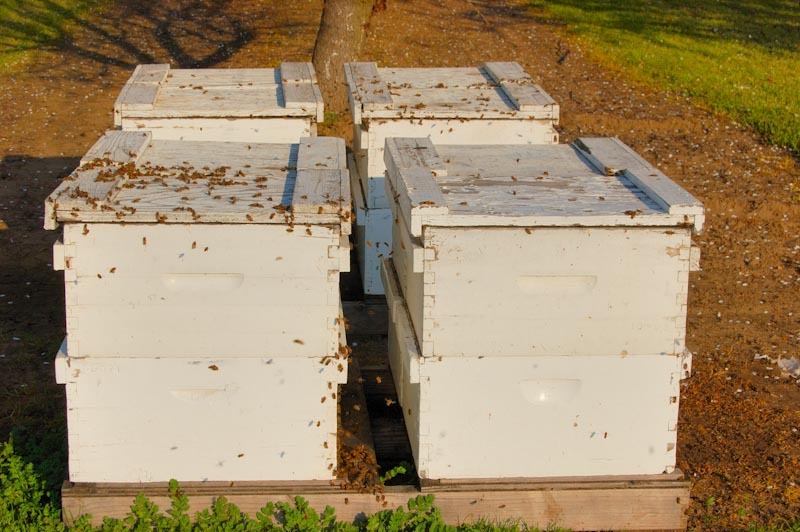 The program requires beekeepers to register with the state and report locations of their hives. California beekeepers are aware of the program and have been complying with it, but many pf our out-of-state beekeepers have not. Because of that, the state went looking for a way to get them to comply. So beekeepers now risk fines and penalties if they do not register with the state and file the appropriate notifications for location and movement information for their hives. That’s because of new legislation passed with the support of The California State Beekeepers Association, The Almond Board, California Citrus Mutual (CCM) and other groups. The new law lets agricultural commissioners issue civil penalties when a beekeeper does not register or does not provide notification of movement of bees. According to a news release from CCM, knowing where the bees are has long been an item of concern for the citrus industry. During this past legislative session, two stakeholders initiated legislation to strengthen the registration procedures for bee owners entering the state of California. The California Association of Pest Control Advisers ( CAPCA) and the Ag Commissioners have been frustrated with the lack of cooperation from out of state beekeepers in complying with registration, movement, and location notification requirements. They sponsored legislation to place ‘teeth’ into existing law which CCM and others supported. Fines have not yet been set but are expected to range from $50 to $1,000. Annual bee registration fees are $10 per beekeeper. Registration begins in December 2018 for the 2019 calendar year. More information is available at the “Bee Where” website at https://beewherecalifornia.com and at local County Agriculture Commission offices. I’m Len Wilcox and that’s the Western View from AgNet West and Citrus Industry Magazine, Visit us on the web at www.citrusindustry.net.